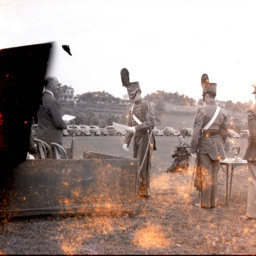 Photograph showing unidentified Massanutten Military Academy (MMA) cadets, officers, a photographer, and an unidentified speaker participating in a ceremony located on the grounds of the academy. 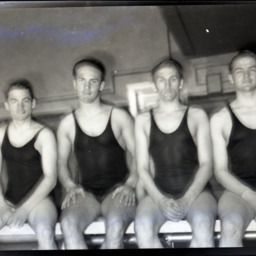 Photograph showing three Massanutten Military Academy (MMA) Swimmers. 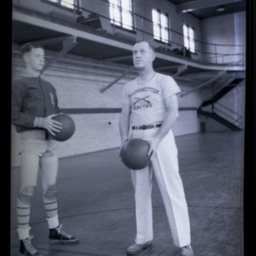 Photograph showing an unidentified Massanutten Military Academy (MMA) basketball player and unidentified coach. 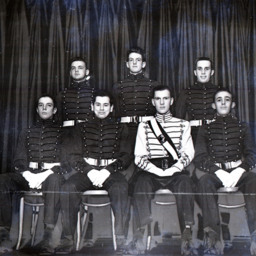 The photograph was taken inside the school's former gymnasium located in Harrison Hall. 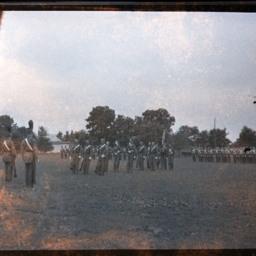 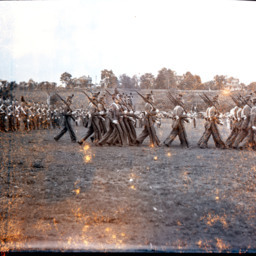 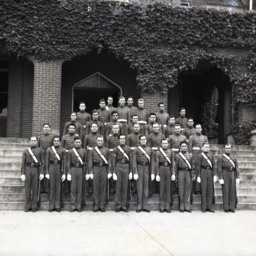 Photograph showing an unidentified Massanutten Military Academy (MMA) cadets and an unidentified speaker participating in a ceremony located on the grounds of the academy. 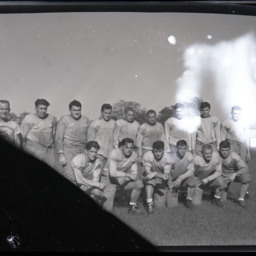 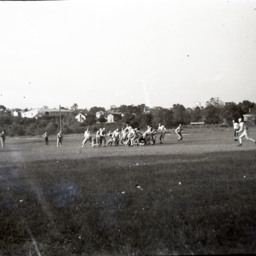 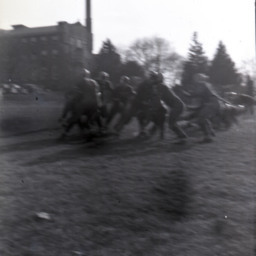 Photograph showing the Massanutten Military Academy (MMA) football team. 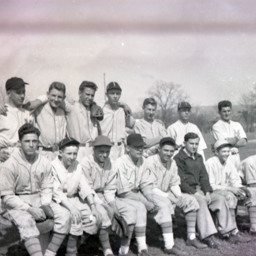 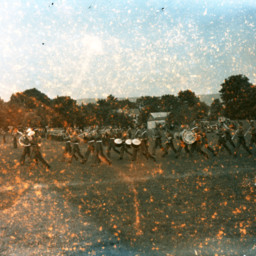 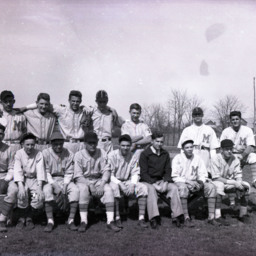 The identities of the players and coach is unknown as is the year of the photograph. 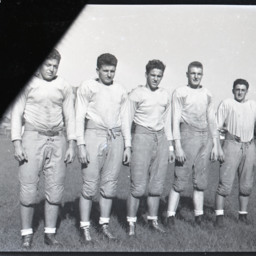 Photograph showing five unidentified Massanutten Military Academy (MMA) football players. 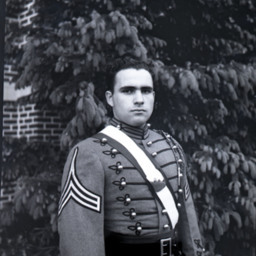 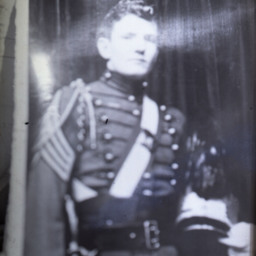 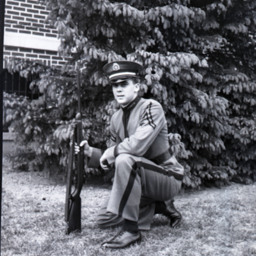 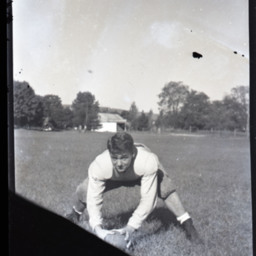 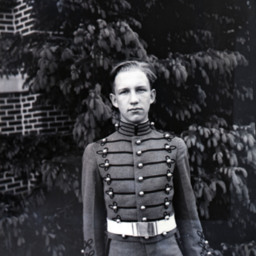 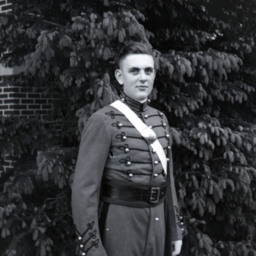 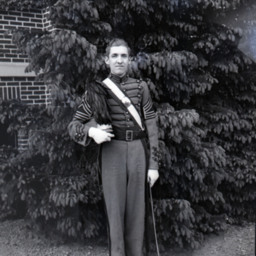 Photograph showing an unidentified Massanutten Military Academy (MMA) football player. 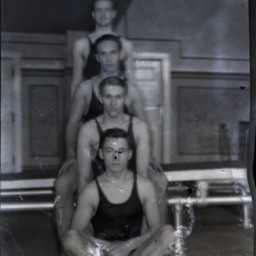 Photograph showing three unidentified Massanutten Military Academy (MMA) swimmers. 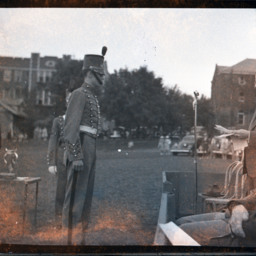 Photograph of an unidentified boy at the Massanutten Military Academy (MMA) pool. 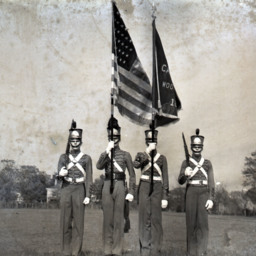 Photograph showing four cadets from Massanutten Military Academy (MMA) forming an honor guard.